This product is available at Aliexpress, FastTech, Ebay, Banggood. 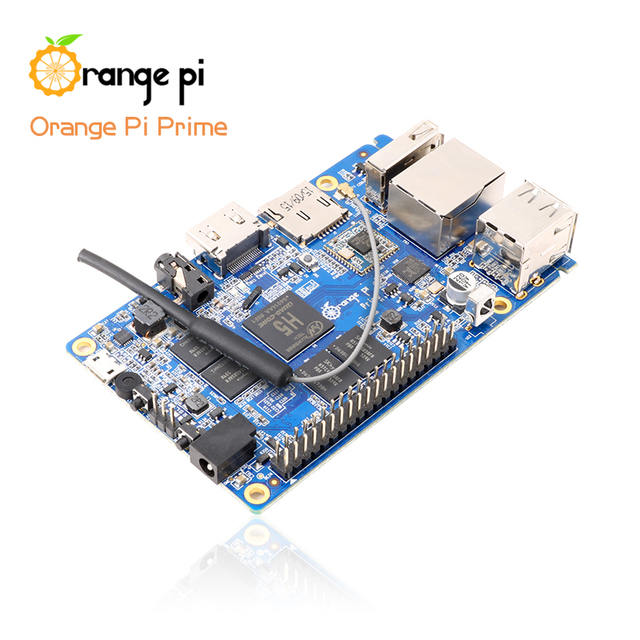 At aliexpress.com you can purchase Orange Pi Prime: Development Board H5 Quad-core Support linux and android Beyond Raspberry Pi 2 Wholesale is available for only $35.90, which is 38% less than the cost in Banggood ($57.68). 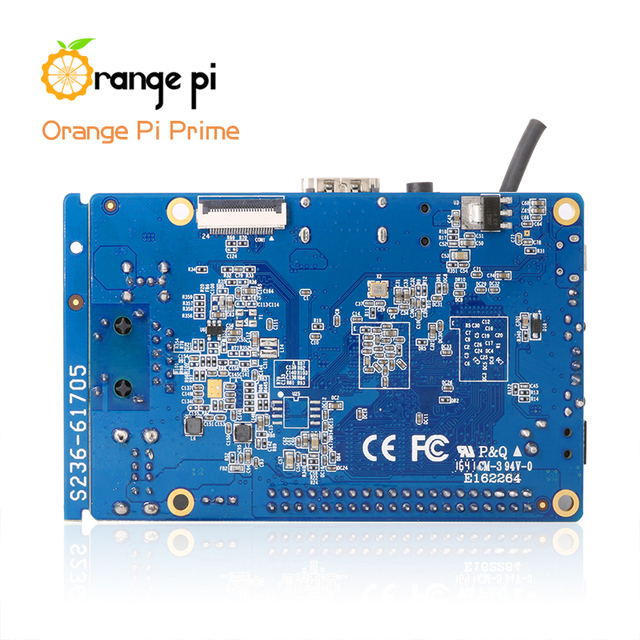 The lowest price of Orange Pi Prime Development Board H5 Quad-core 2GB DDR3 SDRAM Mini PC was obtained on 5 March 2019 2 h 03 min. 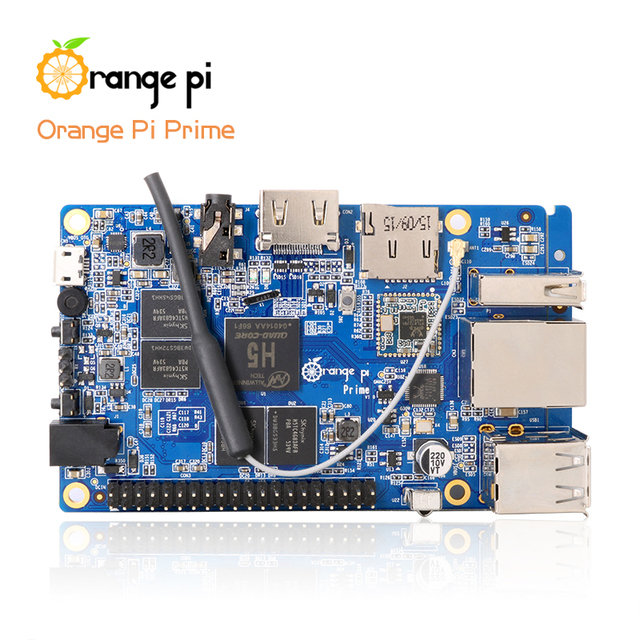 The Orange Pi Prime development board has introduced Bluetooth support in the Orange Pi family. The AMPAK AP6212 chipset supports IEEE 802.11 b/g/n WiFi and Bluetooth 4.0. As an added bonus, it incorporates a radio receiver in the FM base. 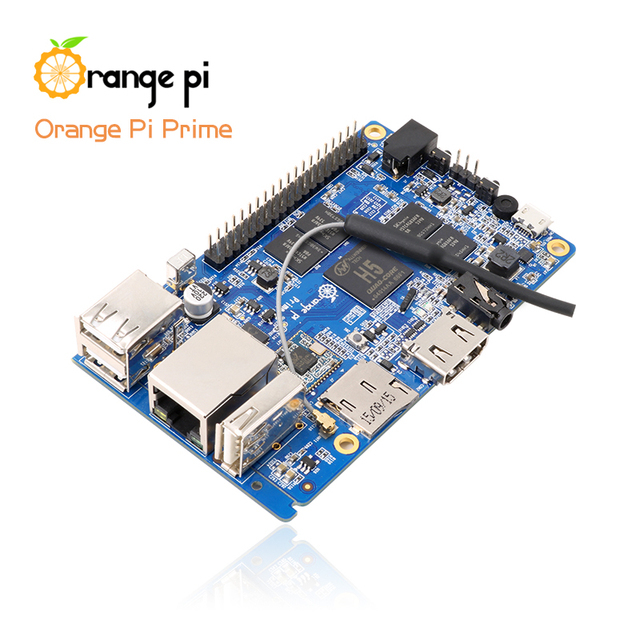 It will replace the Orange Pi PC 2 very favorably. On the other hand, it does not have any memory storage eMMC and no expansion slot is provided on the card. It will be enough to make run the distribution Armbian, Ubuntu, Android on an SD card. Follow this tutorial to install Armbian without a screen or keyboard using a single FTDI cable from another computer! Changes from the Orange Pi PC 2 are marked in bold.